their strong ones. 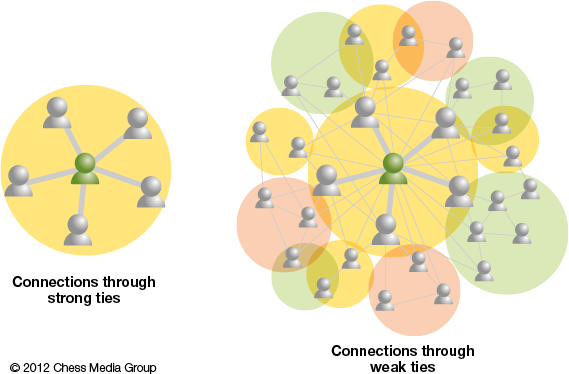 This became the basis of The Strength Of Weak Ties. of range of connection they are limiting. circles. We have lots of them, but we don’t typically share the same social circles. This means that they can act as bridges into new groups and new areas.